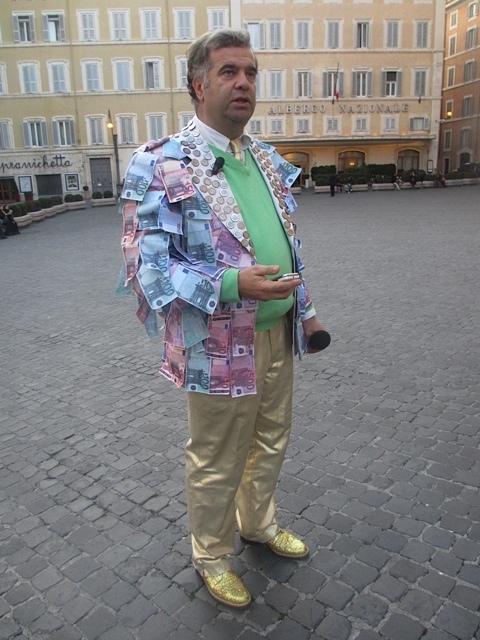 I ran into this guy standing outside the Italian parliament in Rome this week. He is Mr. Euro and he appears on television several nights a week. His job is to make members of parliament look stupid by asking them awkward questions as they leave work. Sales was not part of the curriculum at Harvard Business School. Former Daily Telegraph journalist Broughton (Ahead of the Curve: Two Years At Harvard Business School, 2008) explains why that’s a big problem. For the author, sales is where the rubber hits the road, where the deals are done. If a business can’t sell its product, of course, it won’t survive. More Americans are employed in sales than any other line of work. Not to be confused with marketing, the author’s definition of sales goes from his sons’ lemonade stand to the Dalai Lama representing the Tibetan people against Chinese repression. Broughton has met with top sellers around the world, traveling to Japan, Morocco and the United Kingdom in search of the keys to success in sales. In addition to his interview research, he examines academic studies, history, self-help literature, academic research on the psychology of selling and the character attributes of sales people. He explores the differences in theory and practice, and he draws from the history of the field, by way of P.T. Barnum and Joseph Duveen, who brought fine-art sales to the U.S. Broughton does not exclude the seamy underside—e.g., pharmaceutical companies recruiting college cheerleaders to “sell” their products to the country’s doctors, who “buy more and prescribe more to please ex-cheerleaders than they do for salesmen who look like themselves”—but he supplies plenty of success stories, including Ted Turner, casino magnate Steve Wynn and former AOL executive Ted Leonsis. 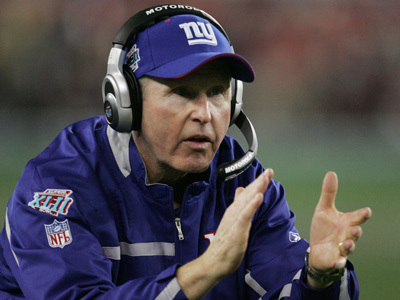 A great profile of Tom Coughlin, the long-serving coach of the NY Giants, in today’s NY Times. Coughlin’s habits suggest he would have made a great salesman. He is a stickler for rules and routines, and a believer in the power of motivational speeches. While all around him teams and coaches search for the next new thing in the NFL, Coughlin sticks to the tried and true. “Taught by his father, a World War II veteran, Coughlin liked to be in charge: he was the catcher on the high school baseball team, the point guard on the basketball team and the captain of the football team. Rules and accountability, his friends said, pervaded his life. The piece also quotes the former Giants executive Ernie Accorsi who says that the finest NFL coaches have always had one common trait: very high intelligence. I reviewed three books, on Caesar, Ataturk and Hannibal in today’s Wall Street Journal. The question posed by all three is what do these venerated leaders have to teach us today? The Caesar and Ataturk books are quite formal military histories. Andreas Kluth’s Hannibal and Me is a more meditative and original consideration of the purposeful life. What after all, is a good life? 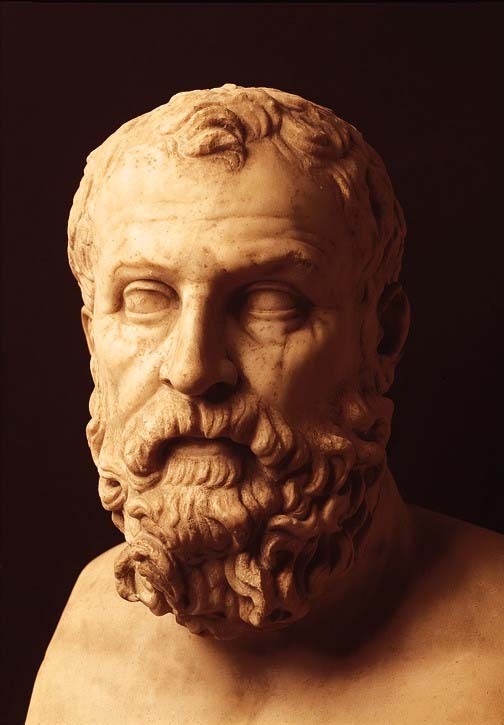 According to Herodotus, Solon, the philosopher, said the most fortunate man who had ever lived was Tellus of Athens. Solon’s claim infuriated Croesus, the Lydian King, who after showing off all his wealth expected Solon to say that he Croesus was, of course, the most fortunate man ever. My next book is out on April 12th. The Art of the Sale – Learning from the Masters about the Business of Life is about salespeople, who they are and why they can do what they do. The idea for it first came to me while I was at Harvard Business School, where sales is not part of the curriculum. Why, I wondered? A professor told me that if I wanted to learn selling, I should take a two week night course. And yet what is business but creating a product or service and then selling it? Why should sales be so belittled by the business academy? The harder I looked, the more contradictions I found. There is Arthur Miller’s grim portrayal of selling in Death of a Salesman, as well as Horatio Alger’s tales of Americans who pull themselves up through society’s ranks with a ready smile, hard work and a knack for selling. We reward great salespeople with high political office and great fortunes, and yet society also belittles selling as tawdry, the back-slapping car salesman trying to gouge out a few extra cents. Whenever I have had to sell, I’ve found it hard. Selling requires persistence, the adoption of masks and attitudes, conviction, persuasion, empathy and a bullying streak. More than any other aspect of business, it forces you to ask that most fundamental question: what are you willing to do for a buck? Researching this book took me all over the world, from Moroccan souks to Japanese insurance firms to Silicon Valley. I met many fascinating characters – salespeople are invariably good company, with great stories to tell. They were mostly very honest about the difficulties of their work and its rewards. So this book is for people who sell, whether they like it or not. I tried to be as un-squeamish as I could as I sorted through the many challenges of selling, the need to find purpose, to stay optimistic in the face of endless rejection, to balance personal and professional friendships, empathy and ego, truth and lies. To keep one’s mental balance amidst the psychological turmoil that is sales. We survive by selling, by converting out talents and efforts into financial and non-financial rewards. My hope is that you read The Art of the Sale and find that process easier. Please do pre-order it on Amazon, or Barnes & Noble or Indiebound. US restores full ties with Myanmar!!!!! Now this is spectacular news. Many congratulations to all those involved. I wrote this defense of financial innovation for the latest Spectator. Criticising individual overpaid, underperforming bankers is one thing, but taking aim at the financial industry as a whole is a terrible idea. Britain will depend on its financial sector to propel it out of its long slump. It should be encouraging it, not continuing to beat it down long after the financial crisis occurred.